We charge sales tax on Imtra items shipped to MA, WA, CA and IL. This sales tax is not collected at checkout and will be invoiced separately. Sales tax for shipments to Maryland is collected at checkout. 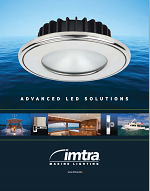 This elegantly appointed low profile LED courtesy marine light features soft rounded edges that blend in perfectly with its environment. It features the latest generation SMD LEDs from Osram and the circuit board is designed to optimize light output and extend the overall operating life of the LED diodes. 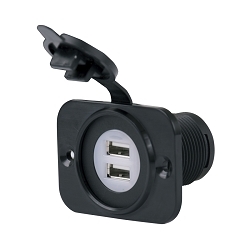 The result is high performance and consistent light output over a wide voltage range. The diffused lens refracts the light, resulting in elimination of the typical annoying "dots" often seen from other manufacturers.